Experience the outdoors like never before. Feel safe and secure by staying aware of your surroundings through the night when you have a SCOUT II at your fingertips. Watch for animals and track game from dusk till dawn. 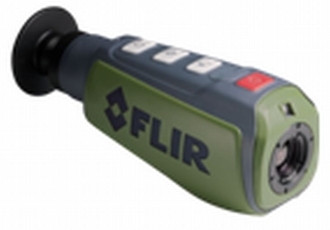 Ideal for the following applications: Detect body heat of animals and people, track game, recover downed animals, watch for predators, stay aware of your surroundings at night. Size (L × W × H) 6.70" x 2.31"x 2.44"